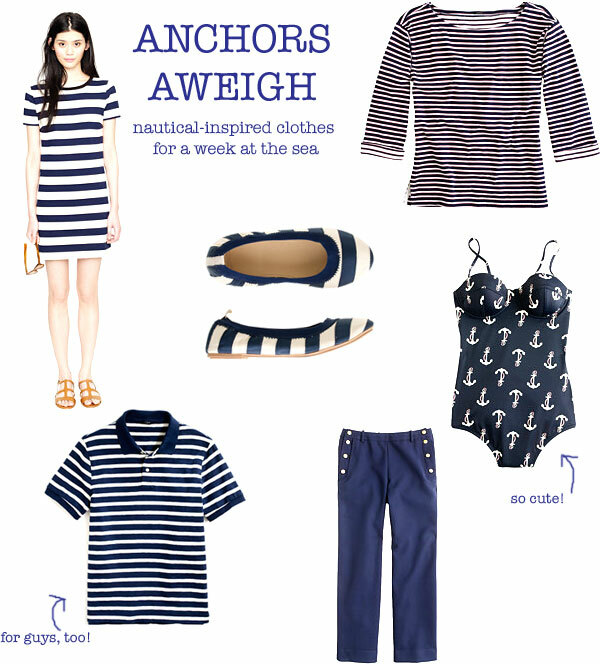 In my book, you can never go wrong with nautical. Give me some anchor prints, navy and white stripes, and a dash of red, and I’m happy forever, whether it’s in clothes or interiors. I don’t know where my fascination with everything nautical comes from, considering I’m kinda scared of boats… but whatever causes it, I think it’s here to stay! 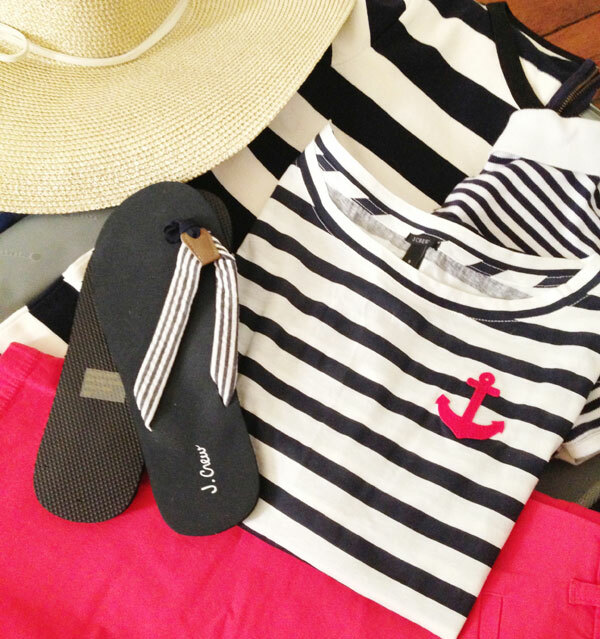 When I was packing for our trip to South Carolina, I realized I had pulled everything nautical from my closet (except my sailor pants because they just have so many buttons… and yes, of course I own a pair of sailor pants! Can you even be surprised at this point?). Even Andy got into the fun and bought a navy and white striped polo. I can’t wait until we “accidentally” wear our stripes on the same day. I think J. Crew does preppy nautical better than just about anyone. Here’s a peek at a few of my current favorites. What do you think? Are you feeling inspired to put on some stripes?